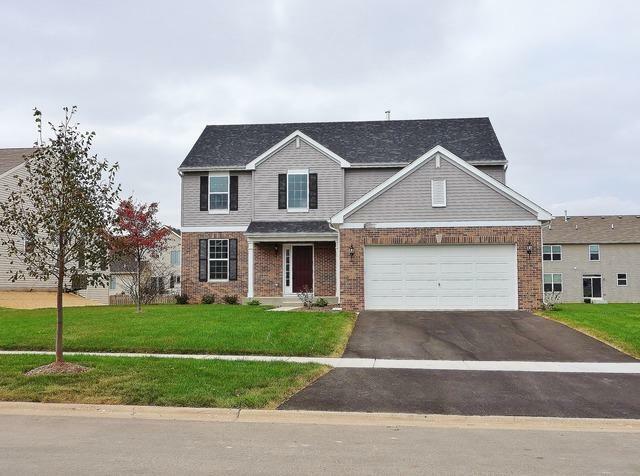 ESTABLISHED HUNTERS RIDGE SUBDIVISION WITH ALL MINOOKA SCHOOLS! 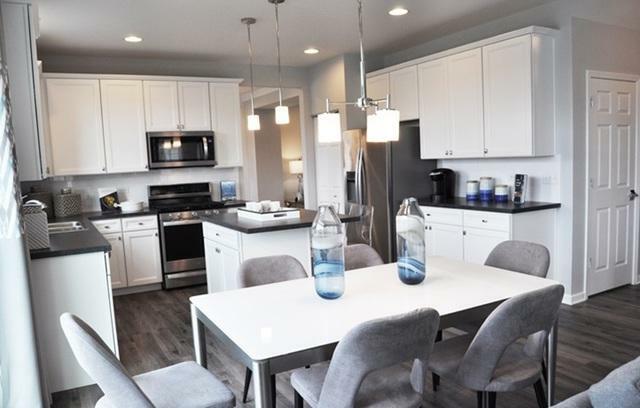 EXTENSIVE BUILDER WARRANTY and ENERGY EFFICIENCY THROUGHOUT! 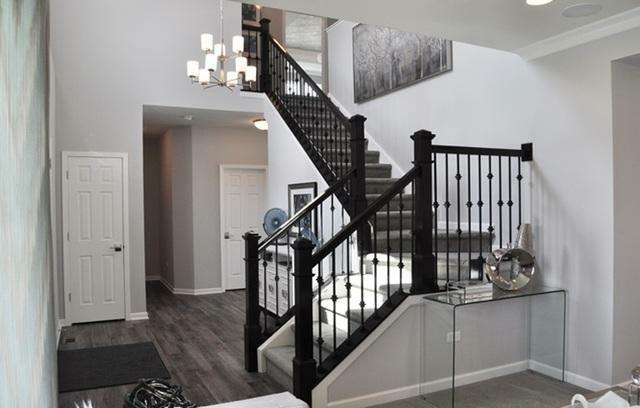 OPEN TWO STORY ENTRY IS PERFECTLY PAIRED WITH A STAINED OAK RAIL STAIRCASE WITH METAL SPINDLES. MODERN KITCHEN WITH 42" CUSTOM WHITE CABINETS WITH CROWN, CAN LIGHTING, ISLAND AND PANTRY OFFERS PLENTY OF COUNTER SPACE AND STORAGE!! 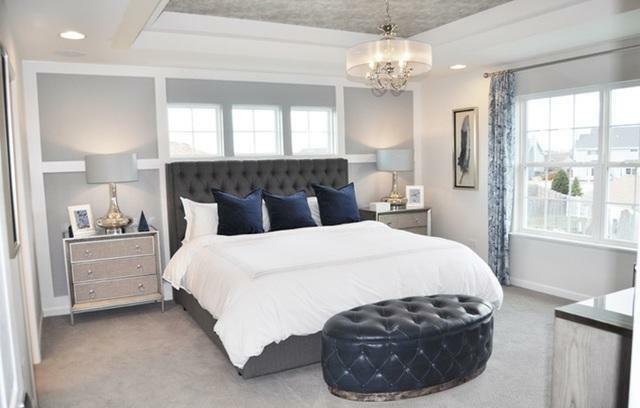 OWNERS SUITE, SPACIOUSLY DESIGNED WITH A PRIVATE, FULL UPGRADED GARDEN MASTER BATH WITH DOUBLE BOWL VANITY, SOAKER TUB, CERAMIC TILED SHOWER,AND WIC! 2nd FLOOR LAUNDRY ROOM. 9' CEILINGS ON FIRST FLOOR, FIRST FLOOR STUDY WITH FAN OUTLET, FULL BASEMENT. EXTERIOR BRICK AT FIRST FLOOR LEVEL. ALL BEDROOMS HAVE A FAN OUTLET. UPGRADED FLOORING IN THE KITCHEN, FOYER, LAUNDRY AND POWDER. UPSTAIRS 2ND BATH HAS UPGRADED CERAMIC TILE FLOORING. SET FOR A JULY COMPLETIONS SO GET READY AND CLAIM THIS HOME AND MAKE IT YOURS!! PICS FROM A SIMILAR MODEL.